Society matched them, but love set them free. Cassia has always trusted their choices. It’s barely any price to pay for a ling life, the perfect job, the ideal mate. So when her best friend appears on the Matching screen, Cassia knows with complete certainty that he is the one . . . until she sees another face flash for an instant before the screen fades to black. Now Cassia is faced with impossible choices: between Xander and Ky, between the only life she’s known and a path no one else has ever dared follow – between perfection and passion. 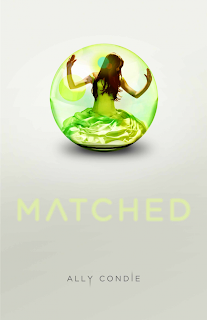 MATCHED begins with an exciting premise and interesting worldbuilding, very reminiscent of THE GIVER. Cassia’s a good girl, following the rules of the Society and preparing for the “departure” of her grandfather. But most of all, Cassia’s excited for her Matching ceremony, that time when her life partner is chosen for her by the Society. When her partner flashes on the screen, it’s Xander, the recognized “best of” all the youth in Cassia’s town. And, indeed, as the story continues, I found myself drawn to Xander’s character above all other characters. He’s driven, kind and emotionally invested in his own life. To contrast, Cassia was less fascinating, a more one dimensional character, missing the spice of other female characters in modern dystopian novels. Cassia’s life is complicated when Ky Markham, an “Aberration,” flashes on Cassia’s microcard, the card containing information about her chosen life partner. Suddenly, Cassia’s questioning the ability of the Society to guide their lives perfectly – and whether Xander is the right partner for her. MACHED is one of the most highly anticipated releases of the Fall. I tried to keep that in mind as I read, tried to distance myself from the expectation of a truly great story. I took a couple of weeks to mull the story over to make sure I presented as fair a review as possible. Ultimately, however, I didn’t find the book to be terribly memorable. On the one hand, the writing is good – thoughtful and lovely, with an excellent opening chapter and easy to read prose. However, I felt MATCHED missed the urgency, the tension, required for this storyline to really work. I found myself skimming passages, looking for places to connect with the characters. There never was a point at which I, as a reader, felt afraid of the Society, had fear for the characters, thought the world was developed enough to provide a satisfactory backdrop to a lackluster romance. Sure, the Society had rules, but the punishments and explanations were half-formed and unimpressive. I found myself unable to root for Cassia because, honestly, the “punishment” for things Cassia and her family did sounded more like a reward. Young adult romance has come a long way in the past few years. It takes more craft, more careful consideration for a reader to believe in a novel's romance, but I feel this is another area in which MATCHED failed to live up to expectations. I’m so over the falling in love after three conversations clichés. Cassia and Ky, as a couple, felt contrived to me. I wanted there to be more intensity between the two, more pent-up frustration and desire. A connection between their need to be together and their need to topple an oppressive regime. I just needed more from them, more pressure from the Society, more fear of consequences to love this book. Is it a worthwhile read? Sure. There are interesting concepts to ponder here. Do I think it lives up to the hype? I don’t, unfortunately. Perhaps the next books in the trilogy will build upon a fledgling romance and mysterious world in a way that will feel satisfactory. 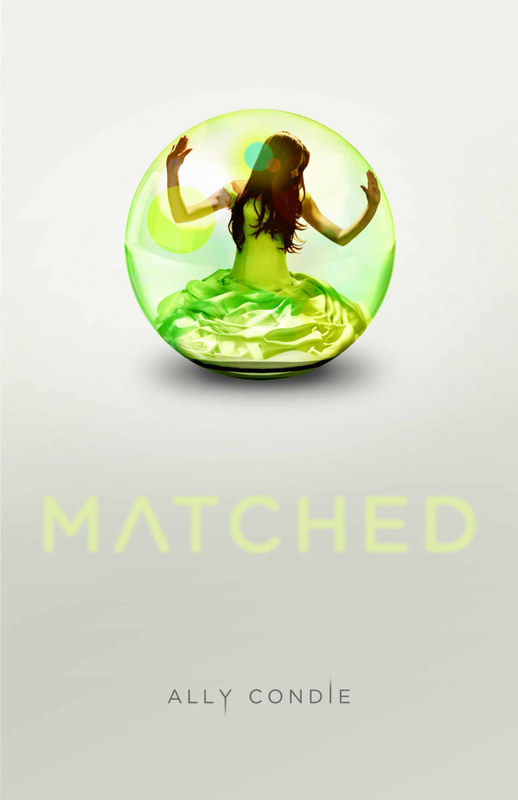 But as a stand-alone, MATCHED wasn't my favorite new book of the Fall. Good review, Kristin. Makes me even more interested to see how I'll feel when I read it. I'm starting to really hate it when novels get hyped up, because they're almost always a let down when they finally come out. :/ I'm glad it's still a worthwhile read, but it kind of stinks that it didn't live up to the hype. That cover will sell itself. It's absolutely gorgeous. I read this very eagerly too - and you are so right...the urgency and believeability are missing. But it is a lovely book. Thanks for the review! I am looking forward to reading this book and seeing how it meets up with my own expectations. Nice review, Kristin. You gave some great insight into how and why you felt the way you did. I think it's hard when a novel is so hyped up, because unless they are truly phenomenal they will pretty much let you down. Jess - I respect your opinion but, as someone who hasn't read Matched, I'm a little upset by that last spoiler. I'm going to delete the comment, but please feel free to comment with your opinions again, sans spoilers. Thanks! I love a nice, honest, thorough review--objectivity tends to make me want to read a book even more than glowing praise does. This is a very good one; nice work! I haven't actually heard that much buzz about it, but I'm definitely curious. I wonder why, if you're right about the book, it's been chosen to be the "buzz" book? Any idea from your read about why everyone wants it to stand out so much? I said beware of spoiler but I apologize. Just to reiterate what my original comment stated, I in no way agree that any of the punishments rendered to Cassia and her family be classified as "rewards". Ultimately there was nothing rewarding about the punishments. Jess - Kristin read your comment before I deleted it. And while you did warn of spoilers, they (particularly the last one) were just a bit too heavy for me, considering the book has yet to be published. Your argument is totally valid - I just didn't want to spoil anything at all for our readers, especially on a book that's so highly anticipated. In a market where every review equates to a dollar sign, I find it disheartening to find that young adult authors are reviewing other YA authors - and negatively. I'm not saying we should sugar coat but what I am saying is that we have so many capable bloggers and reviewers with the capacity to review and tout their opinions. I'd like to think that YA authors could create a sense of community - that would be the voice of support - not criticism. Aren't we all playing the same game? Aren't we, YA writers, on the same team? We go to our writers groups for criticism... I would hope that we could keep our reviews to that of the craft, the industry and the very difficult feat of being published in the first place. This review was marred for me by the sheer fact that this was penned by YA authors who one day will be in the position, if they are not already, to be reviewed. Anonymous - "reviewed" by definition usually means to examine with an eye to criticism. What you're describing is a positive synopsis of the book. As YA authors, we are all putting ourselves out there to criticism, and most of us welcome it. When I read a review of a book, I already know what the book's about. I read the review to get one person's OPINION on it - which is what this was. Also, we review books - not authors. Also, I'm not sure how every review equals a dollar. It sure isn't coming to us - we do this for free. If you have an actual statistic, I'd love to see it. Anon, I, for one, find the idea that those most qualified to post critical writing about upcoming works be disallowed to write real, objective, and honest reviews for the sake of "community" really off-putting. Peer reviews exist in just about every other creative and academic community that's out there--adult fiction writers read and review one anothers' work (look at Stephen King!) frequently. Poets are also often reviewers. Academia is full of critical analysis of peer work. 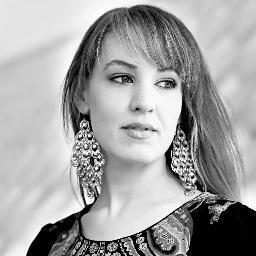 The truth is, as a YA author, Kristin is uniquely qualified to look objectively at a work and talk about what is, and isn't, successful about it--I'm sure she's used to finding the flaws in her own writing and this extends to the writing of others'. The truth is, a good and honest critical review will almost inevitably include some negatives, because that's the result of looking closely at almost any creative work (the vast majority of which are flawed). The reason why this shouldn't degrade "community" is that mixed reviews are the result of a careful examination of a work, not an author. Writers in other disciplines know this, and are able to concede that critique of their work is not a show of a lack of support for their career. We in YA should be able to do this, too. Good criticism actually has the potential to enrich our community--it can help us grow as writers, it can teach us to react gracefully, and so on. Flat, bland, and passionless praise does none of that. It might feel better initially, but it's not really very useful to either the writer or to the readers interested in reading a review for purchasing purposes. Sorry to go on at length about this. But I'm a writer who posts critical reviews of YA works, too, and it's something I feel pretty passionately about. I can't speak for Kristin, but I can say for myself that I sure do hope that someday someone will take the time to look at my work as carefully as I look at the work of other writers. I'm sure they'll find problems with it; they'll probably even be right! But I'd rather have them look closely and respond thoughtfully, if negatively, than to give me false praise in order to keep up appearances. I'm personally glad to know this book has flaws to someone somewhere. I was getting nervous it was absolutely perfect and I wouldn't be able to read it until November and I wouldn't survive the wait! :) Thanks for the honesty.